Simply Put - Why Pay More to Store? We understand that there are many other areas in life that you'd rather be spending your money - in most circumstances storage is a necessity rather than a luxury, and that's the simple reason why we offer cheap storage in Melbourne. We encourage you to shop around because we are confident - when comparing apples with apples - our pricing stands alone! At Superior Self Storage centres, we cater for all types of business and home storage. We also offer free cheap storage in the South Eastern suburbs of Melbourne. 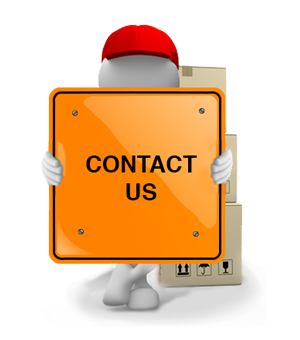 Use our expertise to help you with storaging, moving, relocating and/or packaging. Not sure how much storage space you will need? There are many sizes and dimensions available so you can choose the size that suits your needs. This gives you flexibility and the opportunity to choose a unit dimension that reflects the physical shapes and sizes of the goods you need to store. Sizes range from 5 cubic metres up to ‘bedroom’ size areas, ‘four car garages’, and even smaller warehouses. Don't be afraid to ask us about unusual sizes or special needs. 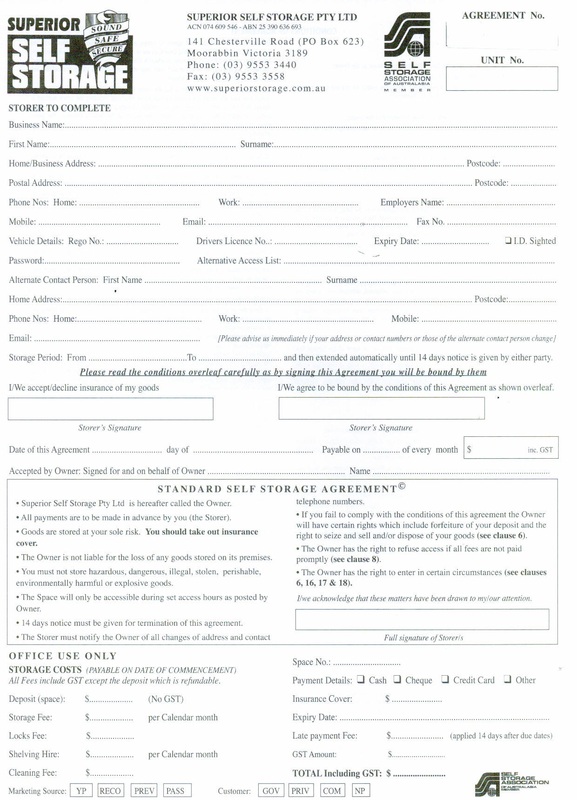 Need assistance with pick-ups or removal of goods from your storage unit? Please ask one of our staff members for assistance as we are only too happy to facilitate with anything ‘out of the box’ - pardon the pun! At Superior Self Storage, we pride ourselves on our competitive prices, our high standard of service and our high quality product. To find out more about us please go to our Profile page and to find out more about our free products and services to help you self store please go to our Freebies page. We have hand trucks available at no charge to help you move large heavy awkward items. These can be taken off site to your home or work for your convenience in the move. 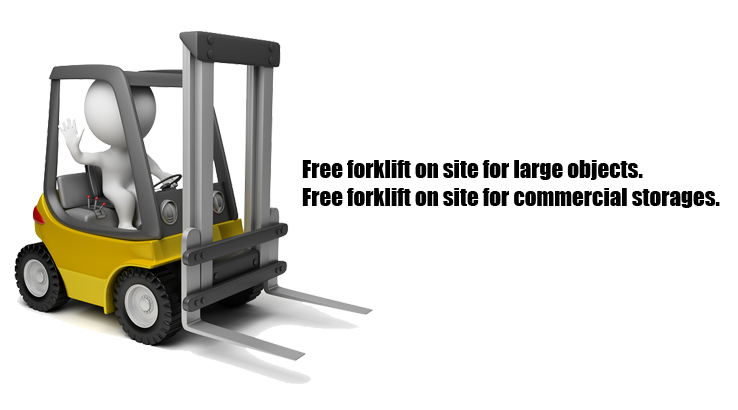 Making the moving and handling of palleted goods easier, and loading vehicles more efficient. We also have pallet trucks to help with the handling and management of your stock, goods and equipment.